Among the many, many ingredients that make their way into diet pill formulations, blue-green algae has not been an exception. 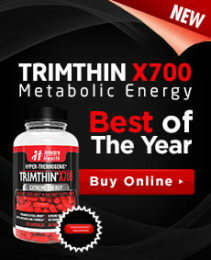 It is included in formulas for many reasons and under many different names on product labels. Some of the other names used to identify blue-green algae on diet pill product ingredients lists include: anabaena, AFA, arthrospira maximua, arthrospira platensis, BGA, cyanobacteria, algues bleu-vert, algas verdiazul, aphanizomenon flos-aquae, blue-green micro-algae, cyanobactérie, and a long list of others. The term blue-green algae actually takes in quite a large number of different possible single-cell organisms. These can be found both in salt water and in larger fresh water lakes. These organisms are quite diverse, but the name considers them all to be essentially the same in terms of their potential benefits. 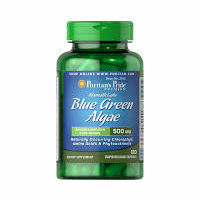 Weight loss isn’t the only reason for which blue-green algae supplements are taken. That said, at the time of the writing of this review, there is insufficient scientific evidence to support claims made about being effective in the treatment of anything at all. On the whole, these water organisms are a source of iron, B-vitamins and dietary protein. Therefore, they can be worked into a balanced diet. However, they are also used medicinally to treat everything from obesity through weight loss to diabetes, anxiety, hay fever, attention deficit hyperactivity disorder (ADHD), stress, fatigue, depression, premenstrual syndrome (PMS) and other issues linked to women’s health. Some people also use this ingredient to help to boost their immune systems, as a treatment for precancerous growths located in the mouth, for the prevention of heart disease, to lower cholesterol, to heal wounds, and to better bowel health and overall digestion. Unfortunately, while it is clear that many people believe that blue-green algae can help them to prevent or overcome a broad spectrum of potential ailments, science has yet to prove that the benefits attributed to its use are actually valid. This doesn’t necessarily mean that the ingredient doesn’t work. What it does mean is that there isn’t any proof of it. Therefore, it is impossible to know the ideal dosage for each purpose or even how much can be taken before it becomes toxic. Moreover, some research has shown that taking the specific spirulina form of blue-green algae doesn’t appear to provide dieters with any benefit directly linked to losing weight. Moreover, not all forms of blue-green algae are created equal and it’s very hard or even impossible for a consumer to determine the quality. Low quality versions contain contaminants called microcystins, as well as harmful bacteria and toxic metals. These can be damaging to the organs, particularly the liver.